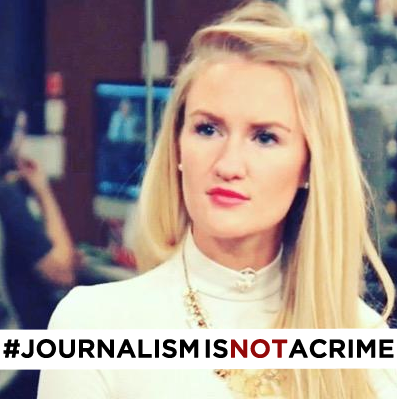 American award winning journalist Anna Therese Day was arrested in Bahrain, along with three of her crew members, also American, for covering protests to mark the country's fifth anniversary of Arab Spring-like protests, which still continue today. She was deported on February 16, along with her crew, after spending a day in detention. The team was arrested during a demonstration in Sitra, and charged with taking part in an illegal protest and entering the country under a false pretext. Bahrain routinely denies foreign journalists from entering the country (Bahrain Watch's Access Denied has a more detailed report here), along with NGO workers and rights activists — basically anyone who would criticise the country for its crackdown on protests, civil liberties, freedom of speech and human rights. Those arrested worked in media without a permit in addition to committing acts which break the law. Legal action has been taken against them and they have been referred to the public prosecutor. Accusing journalists of breaking the law for covering news is not new to Bahrain. More recently, photojournalist Ahmed Al Fardan was sentenced to three months in prison for taking photographs of protests. He was charged with “intent” to protest. Accusing journalists of taking part in protests was not lost on activists and friends who raised the alarm after Day's arrest. But journalism is a crime in Bahrain. Bahraini journalist Nazeeha Saeed would know. Not only was she tortured for doing her work, but her torturers were acquitted. Just like this. The small island country of 1.3 million people (about half of whom are foreign workers) has been witnessing a brutal crackdown following a popular uprising, which began on 14 February 2011. Activists have been tortured, killed or imprisoned. Today in Bahrain, anyone who dares to criticize the authorities – whether a human rights defender or political activist – risks punishment […] Despite pledges from the authorities to prosecute security forces responsible for human rights violations in 2011, the Bahraini people are still waiting for justice. Institutions set up to protect human rights have not only failed to independently investigate or hold perpetrators to account, but now increasingly appear to be used to whitewash continuing abuses. Five years on, demonstrations continue, but are smaller and quieter. Today, protesting, or rather “gathering”, is criminalized by law and villages are under day-and-night security watch.